This College Decorations team logo page is simply a "Navigation" page to get you where you want to go to see what interests you. The "Links" you see below are all working links that you can use now. There will be more links coming soon. You can join our newsletter below to keep up to date on our progress and new offerings. 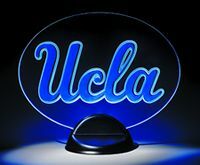 Our NCAA Pool Table Lights! *Free Shipping - in Continental USA ONLY! Shipping is more for outside Continental USA.